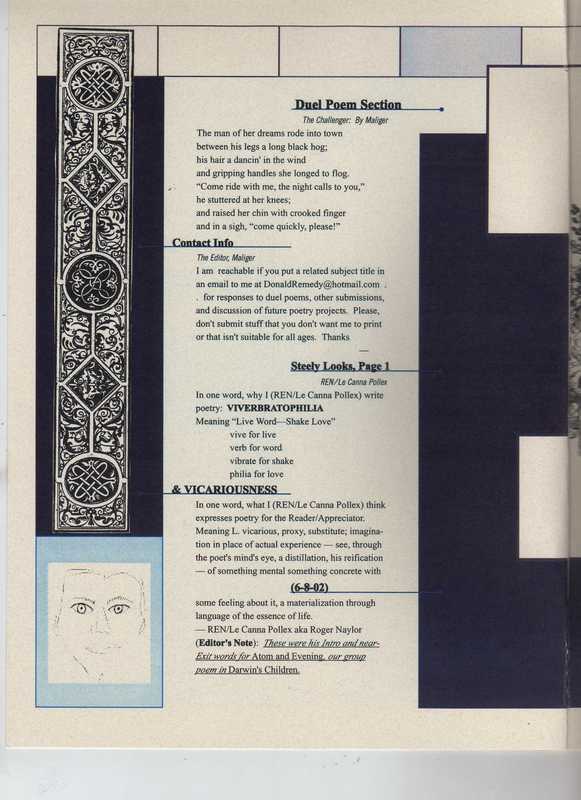 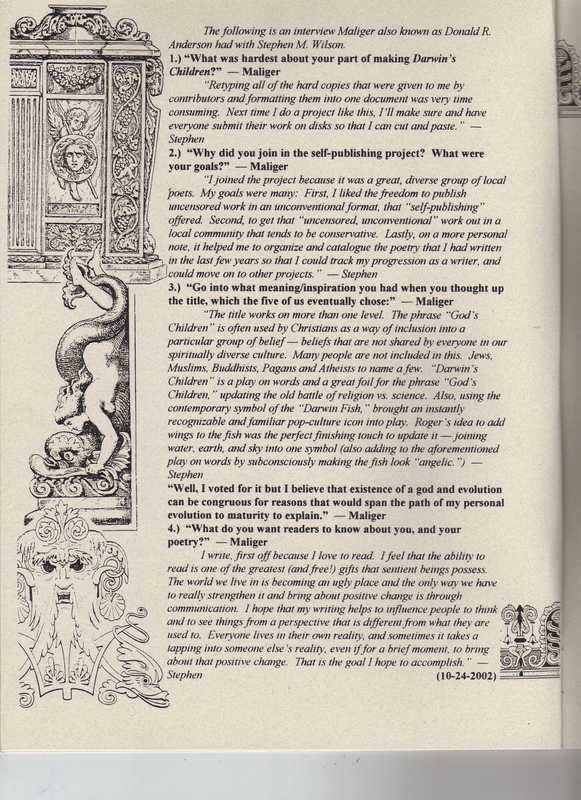 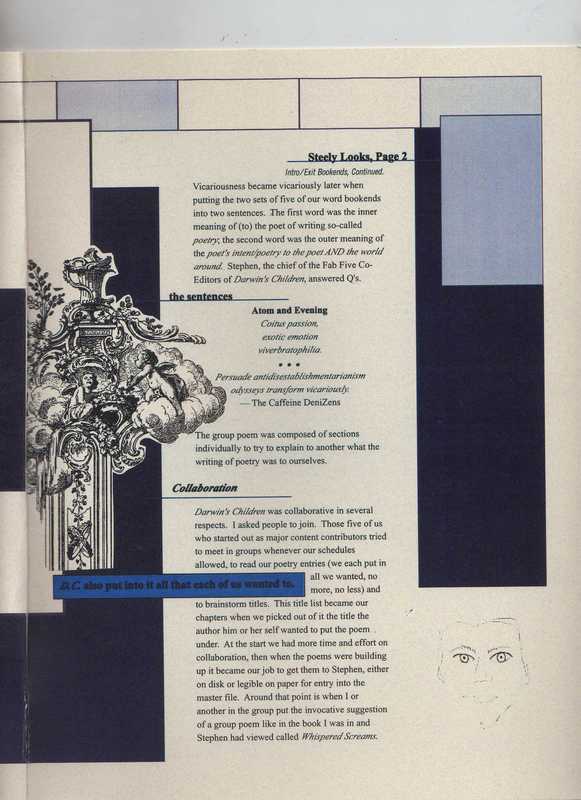 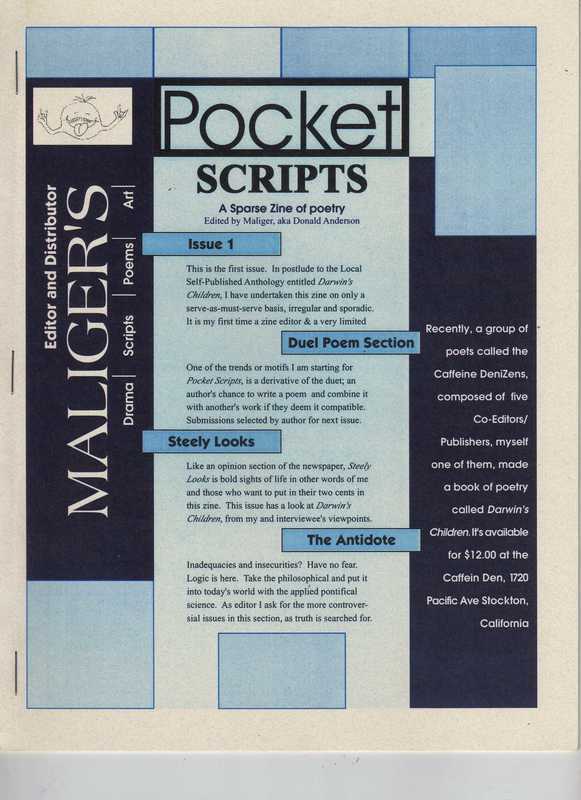 Pocket Scripts is a zine that Donald R. Anderson occasionally puts out, usually containing poetry, sometimes with color artwork.“Pocket Scripts by Donald R. Anderson - A half sized zine of Donald’s wonderful poetry and color pictures of his art. 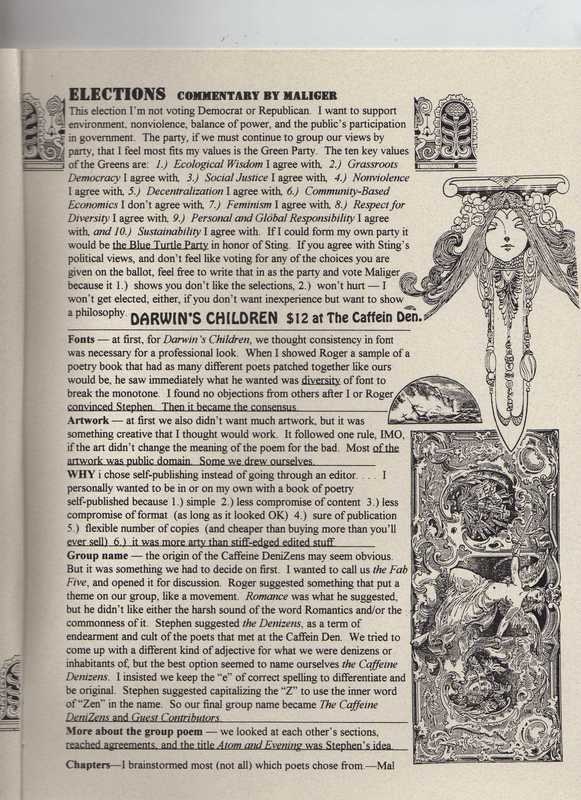 I especially enjoyed the poems Maize and Glorious Afternoon (‘The sun shimmering to an irregular wind chime.’) and the cover picture of ‘Neon Party.’” — review by Candace, from The Gleaner Zine yahoo group, in reference to Pocket Scripts October 2007. 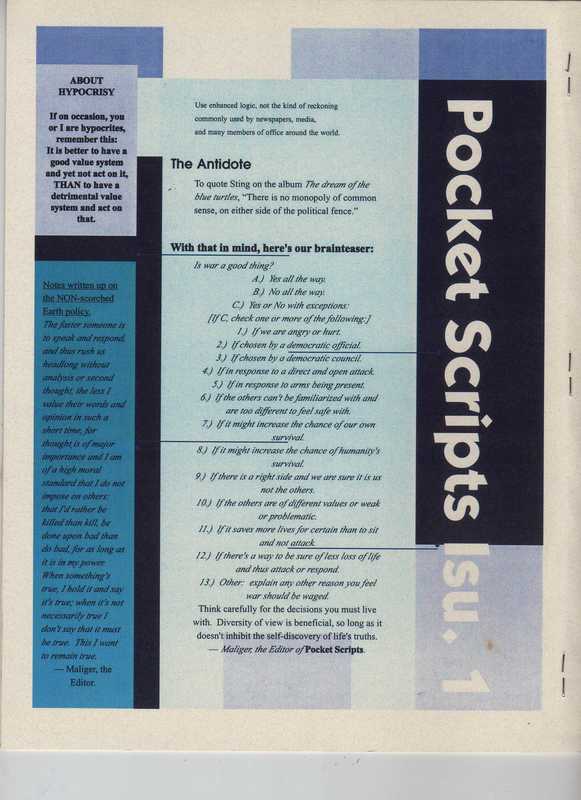 What is Pocket Scripts - an early issue, circa 2003-4?